Thanks to the lovely folks at Bromer Booksellers, I now (actually just after Xmas) have my very own copy of the catalog from the International Miniature Bookbinding Competition I wrote about here. 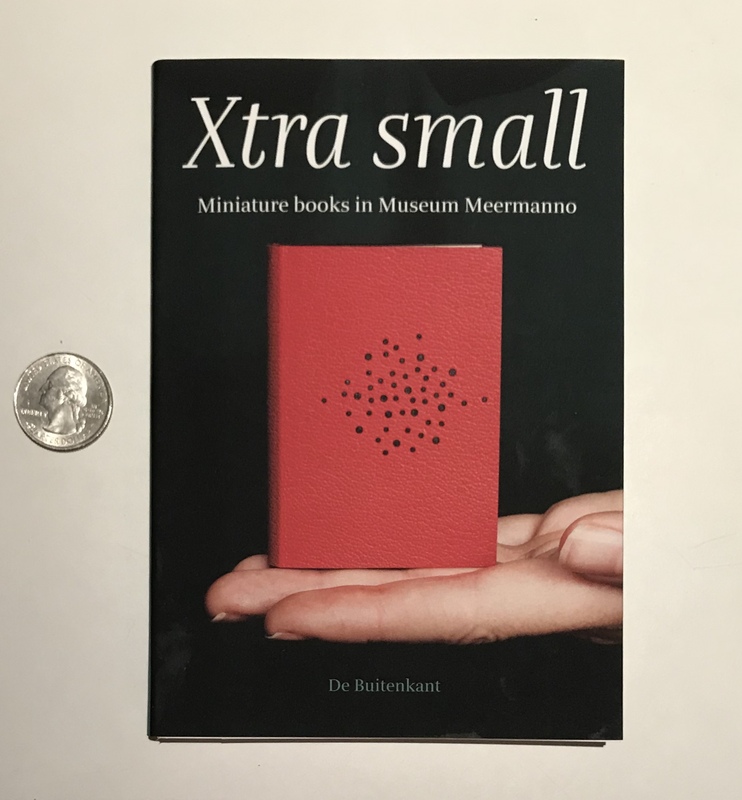 The competition, sponsored by the Dutch Hand Bookbinding Foundation, the Museum Meermanno (The Hague), and De Buitenkant Publishers, attracted 155 submissions from all over the world, nearly half from outside of The Netherlands. The winners were announced at the beginning of October and the exhibition at Museum Meermanno is up through February 18, 2018. The catalog is tiny (see photo above with a quarter for scale). It’s not a miniature, but it’s appropriately sized for the books pictured inside. Despite the small size, catalog is truly substantive, containing an introduction by the organizers, an explanation of the competition assignment, and essay by Anne Bromer. The jury then walks us through the selection process, something we don’t usually hear about. They describe their methodology and, for each prize awarded, they explain the features that made that binding outstanding. In a way, it could be read as a how-to guide for competition judges, for competing art bookbinders, and for binding collectors. 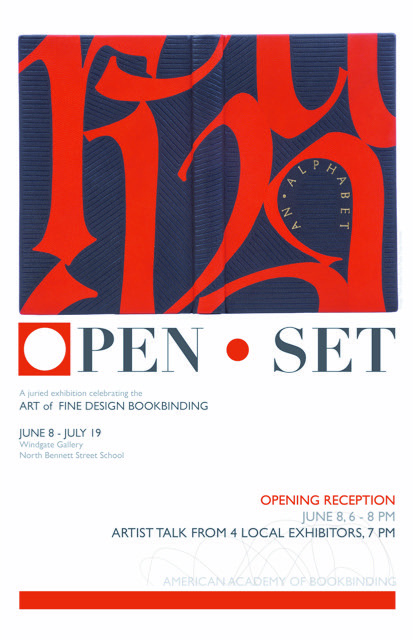 The catalog reproduces the submissions, arranged by stage, as the jurors winnowed down the pool of submissions in four rounds of judging: first excluding those that failed to meet the size limitations (a painful thing to do to an otherwise gorgeous binding) and those that they felt failed to meet their technical or aesthetic standards, on through to the prize-winners. The bindings demonstrate a stunning range of creativity and technique.